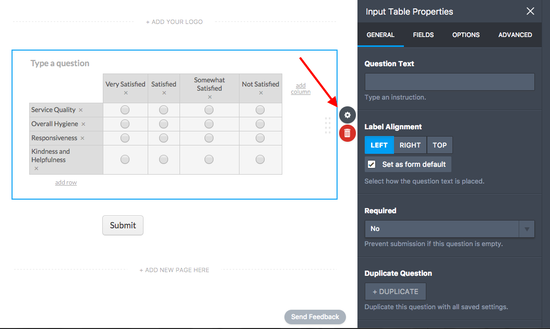 On this example, I have chosen another Input table (Matrix) form that is positioned after the Page Break. You can improve it by adding Headings fields for each section. You can find it in our Form Tools Menu. 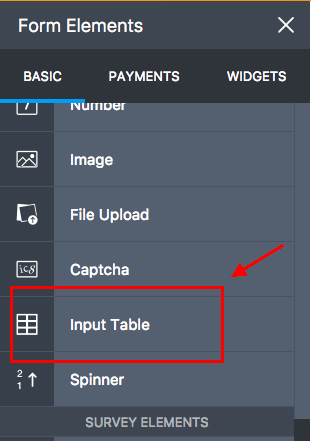 Step 5 - You can change the input type of your matrix form. In this example, I have chosen the TextBox one. Step 6 - You can add columns and rows, then customize them. 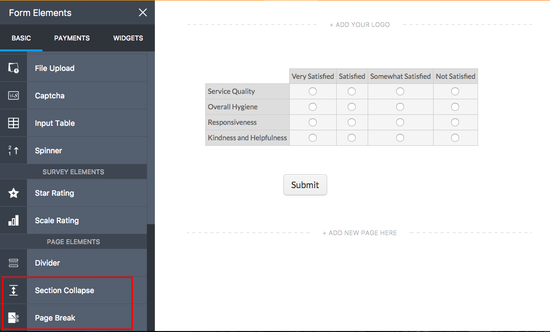 Or, you can add or remove columns to your Survey form later. For questions, please let us know below or post it on our support forum. how can i change the format for the ratings in decimal points? Is there a way of adding pictures? I need to make a survey with suggestions on things to donate. Are there further CSS options? This solution here https://eu.jotform.com/answers/711759-Is-there-a-CSS-to-change-background-colour-of-a-matrix just changes part of the background... Furthermore I would like to change the text color: give the matrix an individual text color but "font" doesn't seem to work within .form-matrix-values. Can I set up a matrix so that the user can select both options in the column? How do I add another column in the matrix? Is there a way that I can create sign area below the survey? Is there a CSS to change background colour of a matrix? How do I change the size of the text box inside the survey/matrix? 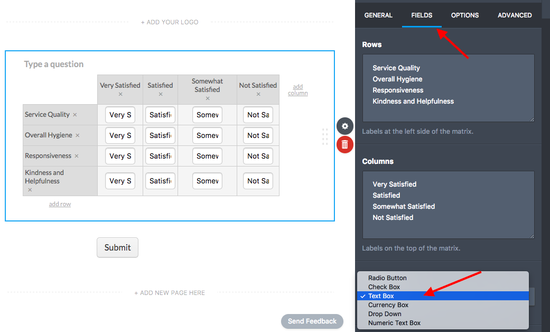 Hi, I want to include a matrix with numeric text boxes in my order form. When I type a number in the box of the matrix in the preview (as the drop down doesn't seem to work) the font color of the number is white in both Chrome and Explorer (I can tell the number is there because I can highlight it). How can I change the color of the font in the matrix input boxes? Thanks!! 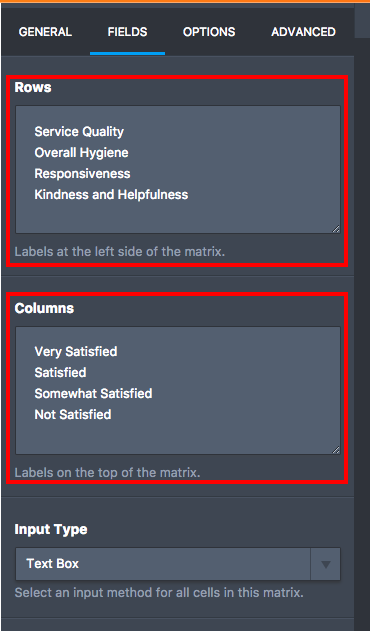 Hi, i would Like to know how can i customize the matrix column that allows me to fill in my statement on the left and right with the ratings being in the middle so that could allow my respondents to rate on how much they agreed to a certain statement. (Left)I think that guidance from the teachers are very important for my studies. (Middle) 1 2 3 4 5 6 7 (Right)I think that relying on my own study is more important. Is there a way to hide a certain radio buttons on certain columns or rows? how can I change the dimensions of the matrix, particularly with the column entries? We have statements that the matrix doesn't wrap, but rather extends the column to the end of the statement. The result is a very wide matrix that does not fit into the desired form dimensions. How to count checked checkboxes in a matrix table?